This article is about the use of tarot cards for divinatory and esoteric/occult purposes. For other uses, see Tarot (disambiguation). Esoteric Tarot is the art of reading Tarot cards, which is the practice of using cards to gain insight into the past, present or future by formulating a question, then drawing and interpreting cards. Reading Tarot cards is a type of cartomancy. One of the earliest reference to Tarot triumphs, and probably the first reference to Tarot as the devil's picture book, is given by a Dominican preacher in a fiery sermon against the evils of the devil's instrument. References to the Tarot as a social plague continue throughout the 16th and 17th centuries, but there are no indications that the cards were used for anything but games anywhere other than in Bologna. As Dummett (1980: 96) notes, "...it was only in the 1780s, when the practice of fortune-telling with regular playing cards had been well established for at least two decades, that anyone began to use the Tarot pack for cartomancy." The belief in the divinatory meaning of the cards is closely associated with a belief in their occult properties: a commonly held belief in the 18th century propagated by prominent Protestant clerics and freemasons. :96 One of them was Court de Gébelin (see below). From its humble uptake as an instrument of prophecy in France, the Tarot went on to become a thing of hermeneutic, magical, mystical, semiotic, and even psychological properties. It was used by Romani people when telling fortunes, as a Jungian psychological apparatus capable of tapping into "absolute knowledge in the unconscious", a tool for archetypal analysis, and even a tool for facilitating the Jungian process of Individuation. Many involved in occult and divinatory practices attempt to trace the Tarot to ancient Egypt, divine hermetic wisdom, and the mysteries of Isis. Possibly the first of those was Antoine Court de Gébelin, a French clergyman, who wrote that after seeing a group of women playing cards he had the idea that Tarot was not merely a game of cards but was in fact of ancient Egyptian origin, of mystical cabbalistic import, and of deep divine significance. De Gébelin published a dissertation on the origins of the symbolism in the Tarot in volume VIII of work Le Monde primitif in 1781. He thought the Tarot represented ancient Egyptian Theology, including Isis, Osiris and Typhon. For example, he thought the card he knew as the Papesse and known today as the High Priestess represented Isis. He also related four Tarot cards to the four Christian Cardinal virtues: Temperance, Justice, Strength and Prudence. He relates The Tower to a Greek fable about avarice. Although the ancient Egyptian language had not yet been deciphered, de Gébelin asserted the name "Tarot" came from the Egyptian words Tar, "path" or "road", and the word Ro, Ros or Rog, meaning "King" or "royal", and that the Tarot literally translated to the Royal Road of Life. Later Egyptologists found nothing in the Egyptian language to support de Gébelin's etymologies. Despite this lack of any evidence, the belief that the tarot cards are linked to the Egyptian Book of Thoth continues to the present day. The actual source of the occult Tarot can be traced to two articles in volume eight, one written by himself, and one written by M. le C. de M.***. The second has been noted to have been even more influential than de Gébelin's. The author takes de Gébelin's speculations even further, agreeing with him about the mystical origins of the Tarot in ancient Egypt, but making several additional, and influential, statements that continue to influence mass understanding of the occult tarot even to this day. He makes the first statement proposing that the Tarot is, in fact, The Book of Thoth, that it is associated with the Romani people (and that the Romani people were roaming Egyptians), and makes the first association of Tarot with cartomancy. 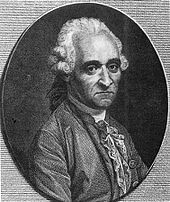 The first to assign divinatory meanings to the Tarot cards were cartomancer Jean-Baptiste Alliette (also known as Etteilla) in 1783 and Mlle Marie-Anne Adelaide Lenormand (1776–1843). created the first society for Tarot cartomancy, the Société littéraire des associés libres des interprètes du livre de Thot. published, under the imprint of his society, the Dictionnaire synonimique du Livre de Thot, a book that "systematically tabulated all the possible meanings which each card could bear, when upright and reversed." (Dummett, 1980: pp. 110). Michael Dummett (1980) suggests that Etteilla was attempting to scoop Court de Gébelin as the author of the occult tarot. Etteilla in fact claimed to have been involved with Tarot longer than Court de Gébelin. Mlle Marie-Anne Adelaide Lenormand outshone even Ettiella and was the first cartomancer to people in high places, being the personal confidant of Empress Josephine, Napoleon and other notables. Lenormand used both regular playing cards, in particular the Piquet pack, as well as cards derived from Etteilla's Egyptian root. She was so famous that a deck was published in her name, the Grand Jeu de Mlle Lenormand, two years after her death in 1843. "have discovered intact and still unknown this key of all doctrines and all philosophies of the old world... without the Tarot", he tells us, "the Magic of the ancients is a closed book...."
Lévi rejected Court de Gébelin's claims about an Egyptian origin of the deck symbols, going back instead to the Tarot de Marseille, calling it The Book of Hermes, claiming it was antique, that it existed before Moses, and that it was in fact a universal key of erudition, philosophy, and magic that could unlock Hermetic and Cabbalistic concepts. According to Lévi, "An imprisoned person with no other book than the Tarot, if he knew how to use it, could in a few years acquire universal knowledge, and would be able to speak on all subjects with unequaled learning and inexhaustible eloquence." Lévi was the first to suggest that the Magus (Bagatto) was to work with the four suits. Inspired by de Gébelin, Lévi associated the Hebrew alphabet with the Tarot trumps. Lévi linked the ten numbered cards in each suit to the ten sefiroth. Claimed the court cards represented stages of human life. Claimed the four suites represented the Tetragrammaton. Occultists, magicians, and magi all the way down to the 21st century have cited Lévi as a defining influence. This trend began immediately when Jean-Baptiste Pitois (1811), writing under the name Paul Christian, wrote L'Homme rouge (1863) and later Histoire de la magie, du monde surnaturel et de la fatalité à travers les temps et les peuples (1870). Christian repeats and extends the mythology of the tarot and changes the names for the trumps and the suits (see table below for a list of Christian's modifications to the trumps). Batons (wands) become Scepters, Swords become Blades, and Coins become Shekels. In 1888 Ély Star published Mystères de l'horoscope which mostly repeats Christian's modifications. Its primary contribution was the introduction of the terms 'Major arcana' and 'Minor arcana,' and the numbering of the Crocodile (the Fool) XXII instead of 0. In 1887 the Marquis Stanislas de Guaita met the amateur artist Oswald Wirth (1860–1943) and subsequently sponsored a production of Lévi's intended deck. Guided entirely by de Guaita, Wirth designed the first neo-occultist cartomantic deck (and first cartomantic deck not derived from Ettielle's Egyptina deck). Known as the Arcanes du Tarot kabbalistique it consisted of only the twenty-two major arcana. Tarot is often used in conjunction with the study of the Hermetic Qabalah. In these decks all the cards are illustrated in accordance with Qabalistic principles, most being influenced by the Rider-Waite deck. Its images were drawn by artist Pamela Colman Smith, to the instructions of Christian mystic and occultist Arthur Edward Waite and published in 1911. Tarot is often used in conjunction with the study of the Hermetic Qabalah. A difference from Marseilles style decks is that Waite-Smith use scenes with esoteric meanings on the suit cards. Next to the usage of tarot cards to divine for others, usually for a fee, tarot is also used widely as a device for seeking personal advice and spiritual growth. Practitioners believe the simple-looking tarot card layouts can help the individual explore the depths and nodes of one’s spiritual path and discover a new realm of possibility for enrichment in regard to the inner self; whereas, professional tarot is often seen as charlatanism. People who use the tarot for personal divination seek insight on topics ranging widely from health or economic issues to what they believe would be best for them spiritually. Thus, the way practitioners use the cards in regard to such personal inquiries is subject to a variety of personal beliefs. For example, some tarot users may believe the cards themselves are magically providing answers, while others may believe a supernatural force or a mystical energy is guiding the cards into a layout. "The original cards of the Tarot consist of the ordinary cards, the king, the queen, the knight, the ace, etc., only the figures are somewhat different, and besides, there are twenty-one cards upon which are symbols, or pictures of symbolical situations. For example, the symbol of the sun, or the symbol of the man hung up by the feet, or the tower struck by lightning, or the wheel of fortune, and so on. Those are sort of archetypal ideas, of a differentiated nature, which mingle with the ordinary constituents of the flow of the unconscious, and therefore it is applicable for an intuitive method that has the purpose of understanding the flow of life, possibly even predicting future events, at all events lending itself to the reading of the conditions of the present moment." Quoting the skeptic James Randi, "For use as a divinatory device, the Tarot deck is dealt out in various patterns and interpreted by a gifted 'reader.' The fact that the deck is not dealt out into the same pattern fifteen minutes later is rationalized by the occultists by claiming that in that short span of time, a person's fortune can change, too. That would seem to call for rather frequent readings if the system is to be of any use whatsoever." The French-American artist Niki de Saint Phalle spent over two decades building her Tarot Garden in Italy. The 22 major sculptures of the garden were based on and named after the Major Arcana of the Tarot. The French philosopher Vincent Cespedes had created in 2011 a philosophical tarot, Le Jeu du Phénix (″The Phoenix Game″). The Fool's Errand, a 1987 computer game by Cliff Johnson, features several tarot card-themed puzzles. ^ Ronald Decker and Michael Dummett. A history of the occult tarot, 1870–1970. London: Duckworth, 2002. ISBN 0715610147. ^ The asterix and the abbreviations are the actual way Court de Gébelin refers to the second essay. As Dummett (1980) notes, Mr Robin Briggs identifies the contributor as Louis-Raphael-Lucrece de Fayolle, Comte de Mellet. Louis was a brigadier, governor, and "unremarkable court noble." ^ Dummett (1980) singles out Christian's writing as one of the worst examples of what he calls false ascription to be found in the occult literature. ^ Arcana in the Adytum by Mary K. Greer. ^ Waite, Arthur Edward (1911). The Pictorial Key to the Tarot. London: W. Rider. Retrieved 4 September 2018. ^ Miller, Laura (2011). "Tantalizing tarot and cute cartomancy in Japan". Japanese Studies. 31 (1): 73–91. doi:10.1080/10371397.2011.560659. ^ van Rijn, Bastiaan Benjamin (September 2017). "The Mind Behind the Cards". Retrieved 31 July 2017. ^ Levy, Ariel (18 April 2016). "Beautiful Monsters". The New Yorker. Retrieved 2017-03-28. ^ Vincent Cespedes, ″Philosopher est-il jouer ?″ (″Philosophy, is it playing?″), Libération, Nov. 2011. ^ "Fool's Gold: Cliff Johnson Puts His Money Where His Mouth Is". Wired. 2012-10-29. Retrieved 24 January 2018.